A complete range of manual curtain track systems suitable for domestic and professional use is available from stock. All tracks can be curved to suit individual application and installation. Manufactured to the highest standard and featuring self-lubricating and ball bearing runners for smooth operation. 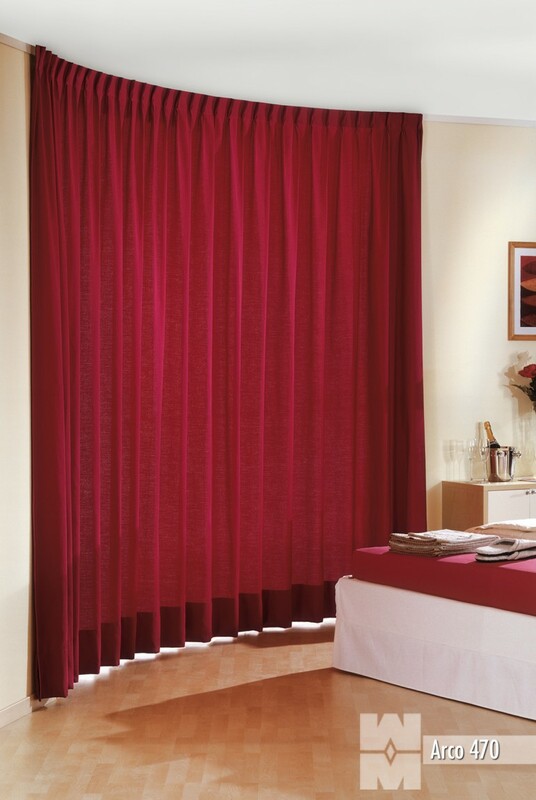 Hand or cord operated, curtains up to 20m can be operated using these systems.